All photos courtesy of Punta Tragara. CAPRI, Italy – When Le Corbusier, one of the most influential architects of the 20th century, drew up plans for the spectacular cliffside villa that would become Punta Tragara in 1920, he conceived of "a kind of architectural bloom, an extension of the rock, an offspring of the island, a plant-like phenomenon." The result was an imaginative, salmon-colored terra cotta abode jutting out of the bluffs that form the island of Capri, a manifestation of his creative vision. As the villa changed hands over the last century — it was the private home of engineer Emilio Errico Vismara before operating as an American command base during the Second World War, hosting such eminent guests as General Dwight D. Eisenhower and Sir Winston Churchill — the stratacasa, or "super-house" as it was called, secured its rich cultural and historical legacy. 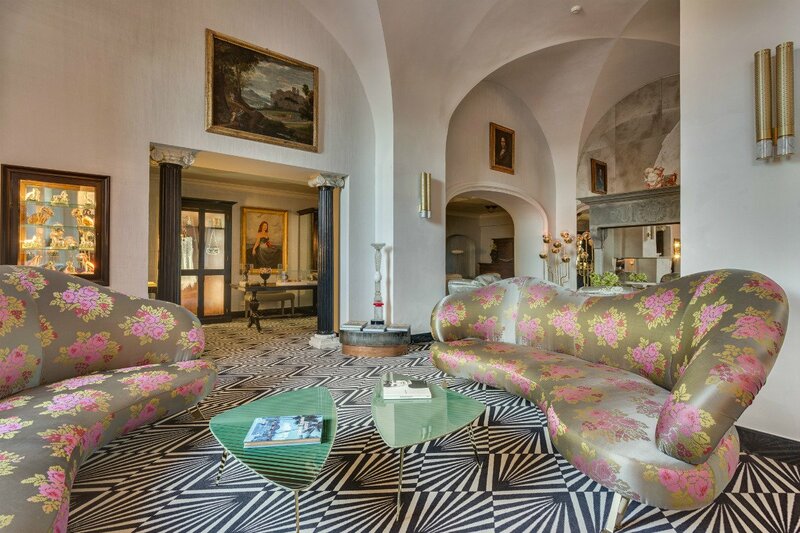 When Count Goffredo Manfredi purchased the villa as a vacation home in 1968, and shortly thereafter converted it into the Punta Tragara in 1973, he infused the property, already steeped in character, with an elegance and charm that continues to be felt throughout. Vibe: Old world meets the new. 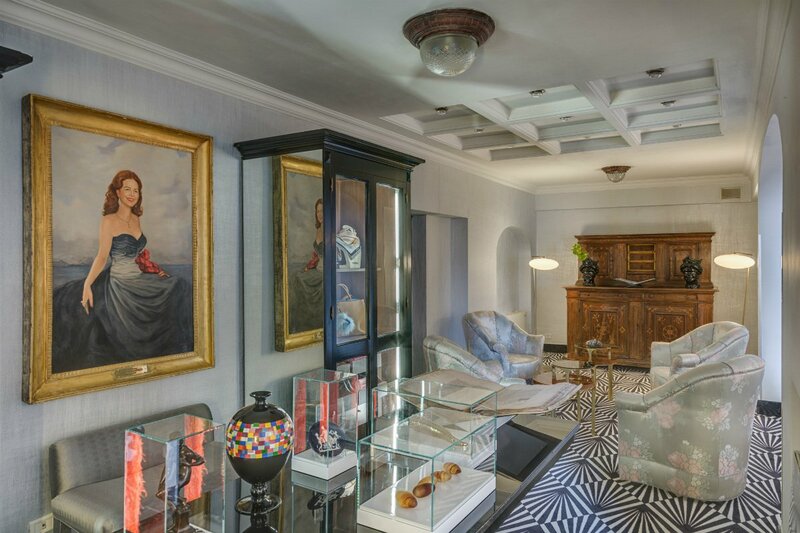 Inside, antique sculptures and archaeological artifacts occupy the same space as modern art and contemporary decor, yet with a harmonious and understated effect, and the original 1920s facade epitomizes timeless style. Standout Detail: The location. 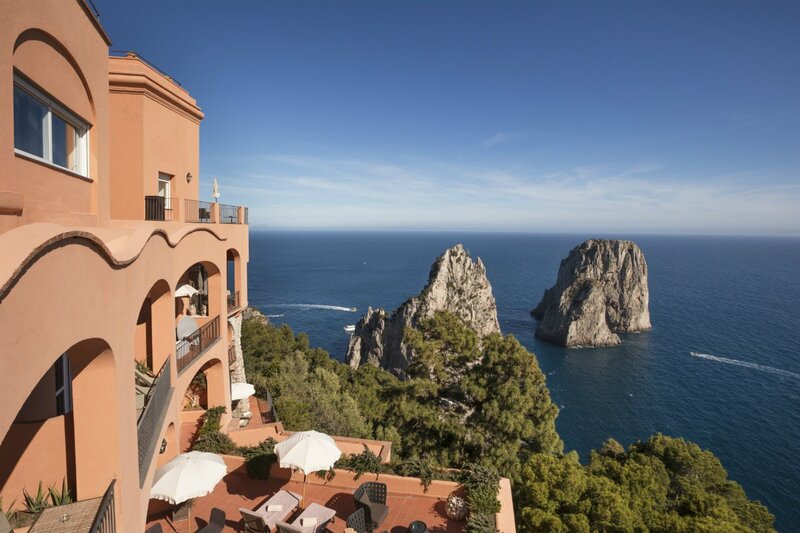 Perched high above the Marina Piccola Bay and carved into the Scoglio delle Sirene cliffs, guests have breathtaking panoramic views of the Faraglioni rocks and the glittering Tyrrhenian Sea without setting foot outside the hotel property. The bluffs conceal the hotel, which can only be reached on foot, lending the villa an air of seclusion. This Place is Perfect For: Couples seeking an elegant, private, and peaceful retreat in one of Italy’s most romantic destinations. 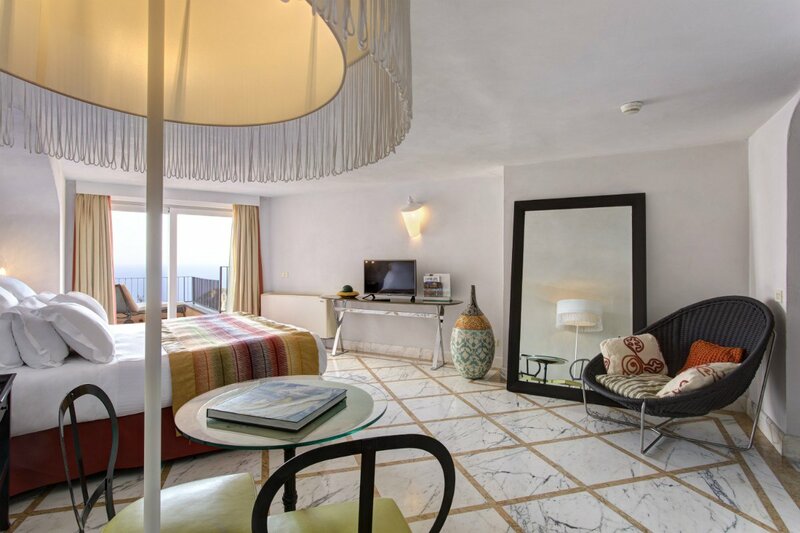 Rooms: 44, including 14 junior suites and six specialty suites, all of which are unique in design and decor — apart from the large windows and palatial marble ensuites in every guestroom, that is. 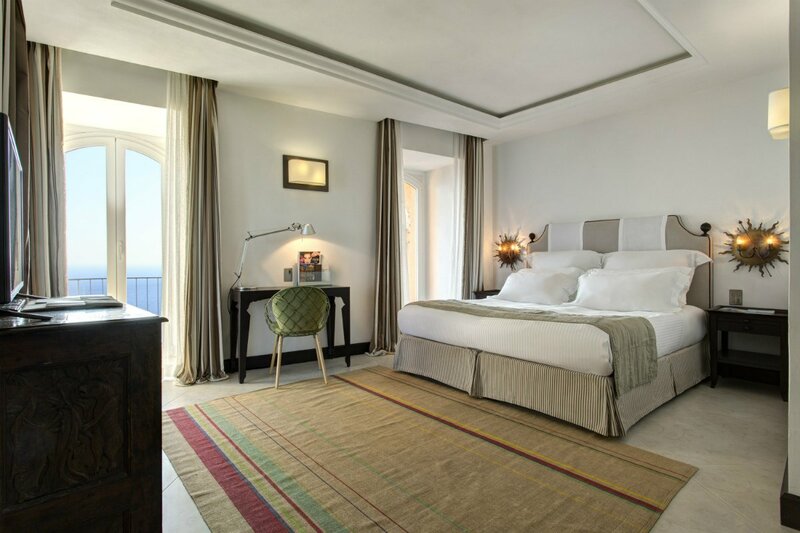 Complimentary WiFi, LED flat-screen TVs, twice-daily housekeeping, and in-room climate control come standard, but the mini-bar exclusively curated by Rome’s famous Hotel Hassler and the "pillow menu" (goose down, hypoallergenic, orthopedic, memory foam, or even latex) set the bar high. 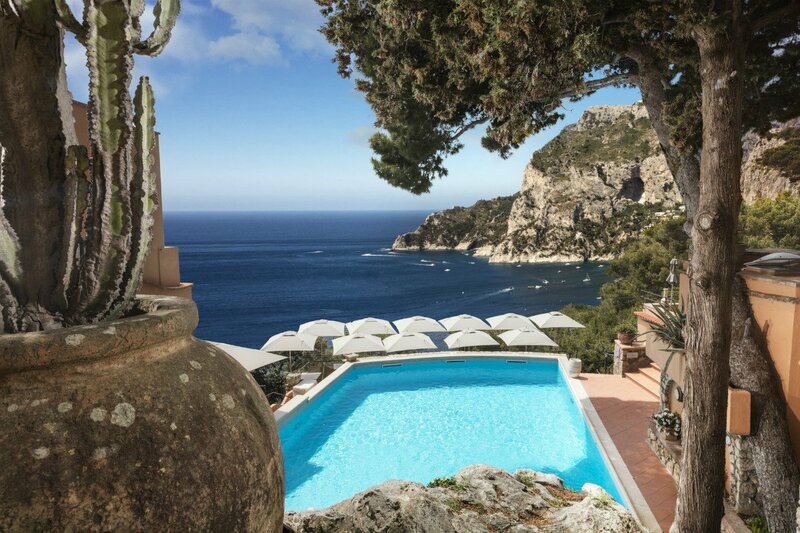 On Site: Two swimming pools: an infinity pool facing the bay of Marina Piccola and a heated spa pool surrounded by lush gardens. The TRAGARA spa and fitness center offers an array of wellness treatments and a state-of-the-art TechnoGym facility. The 24-hour in-room dining comes from Monzù Restaurant; round-the-clock concierge services to help arrange everything from boat rentals to private island tours. Food and Drink: Monzù, the property’s on-site restaurant, specializes in Mediterranean fine-dining and draws inspiration from traditional Neapolitan and Caprese cuisine, a blend of hearty flavors and invariably fresh seafood. Dishes like broccoli gnocchi served with carpet-shell clams and almonds, and trenette pasta with radicchio and king prawns, pair well the 400+ bottles on the impressive international wine list. 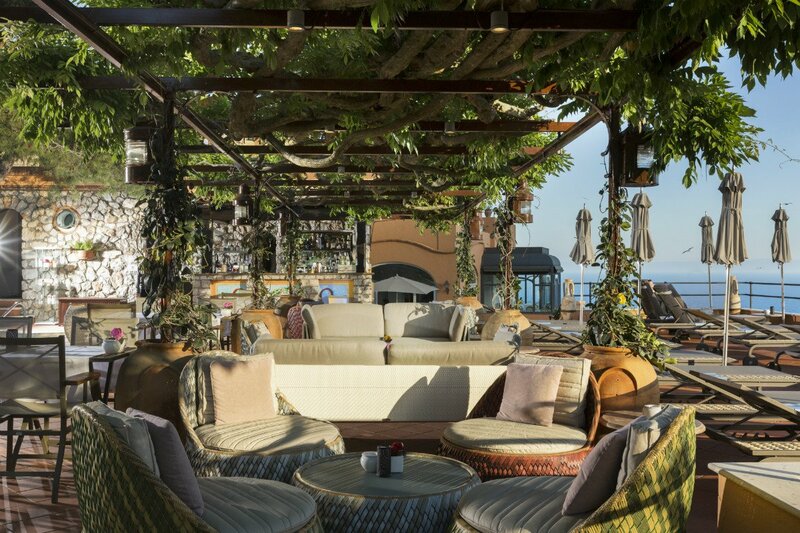 The Monzù Gin Club and American Bar, located adjacent to one of the swimming pools, serves lunch daily and is a great spot for a refreshing, poolside cocktail or a sunset aperitif. 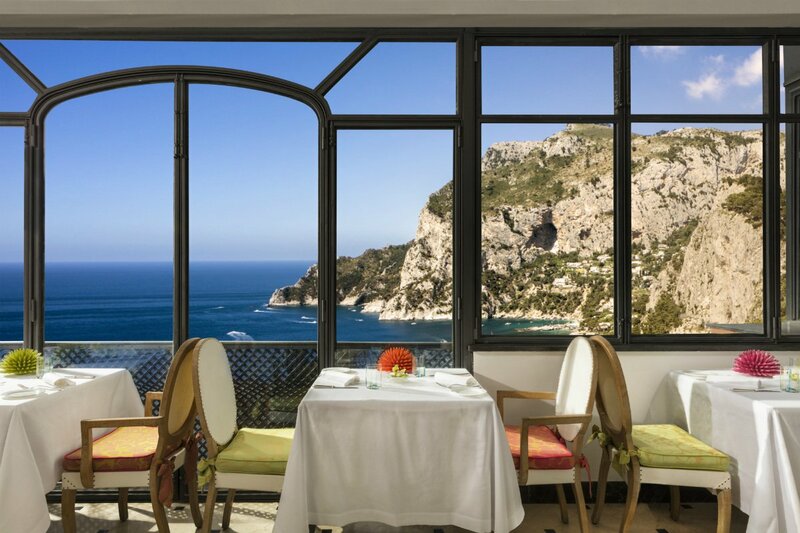 Hotel guests also have exclusive access to Mammà, a stone's throw from the island's piazzetta and one of Capri's Michelin-starred restaurants. Rates change seasonally and start at $600/night. Click here for reservations or call the Fathom Travel Conceirge for us to book the trip for you. There are so many things to see and do within walking distance. Visit ancient villas built by the Roman emperor Tiberius, like Villa Jovis and Villa Damecuta. 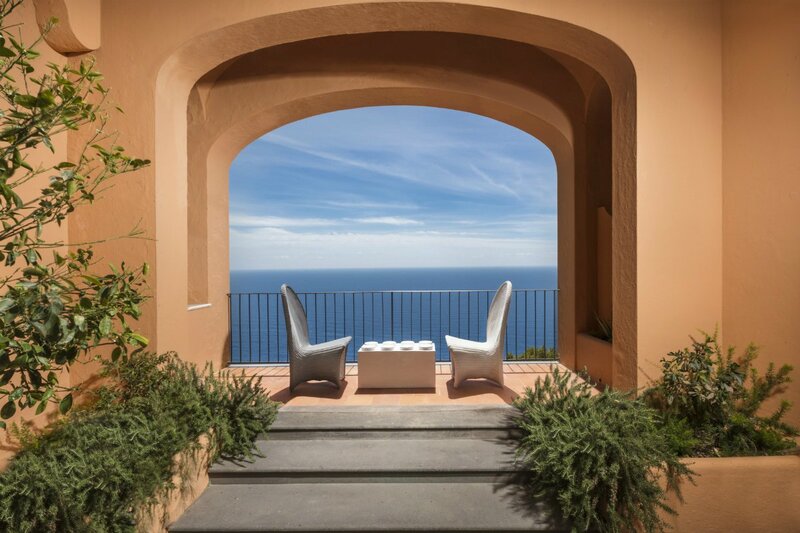 Take in sweeping views of the Faraglioni rocks, the Gulf of Naples, the Sorrento Peninsula, and the island of Ischia from natural viewpoints like Belvedere Punta Cannone, Mount Solaro, the highest point on the island (take the rickety chair lift to the top, though not if you're squeamish), and the Gardens of Augustus. Lounge on the beaches of Marina Grande and Bagni di Tiberio or take a boat tour around the island and explore the Blue Grotto, a natural cavern famous for the sunlight that filters in through an underwater orifice, illuminating the cave with a brilliant blue glow. Hike La Migliera, a small footpath that retraces the ancient Roman road from Capodimonte to the Phoenician Stairway. The closest mainland city, Naples, is an hour away by ferry, but in the summer months ferries run to and from Sorrento, the Amalfi Coast, and Ischia. Read more for information on how to get to and from Capri. Read more about Punta Tragara on Fathom. 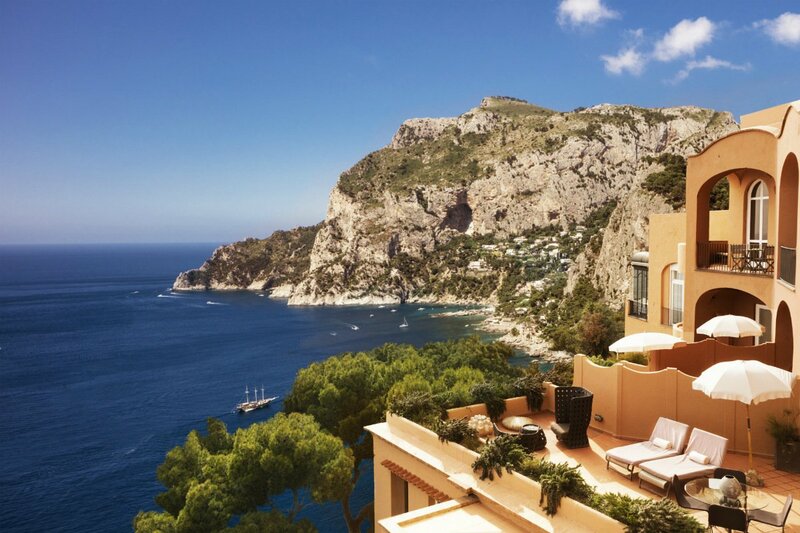 Then plan your attack for Capri and the Amalfi Coast. 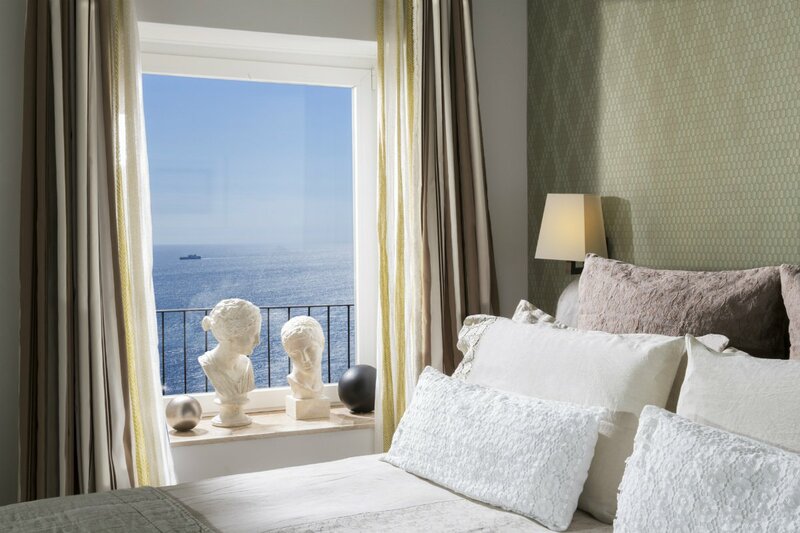 Perfect your DIY vacay by downloading the Fathom guide to 3 Perfect Days on the Amalfi Coast. Or email the Fathom Concierge and we'll book your perfect trip for you.